A weekend on the lake is complete once the Burger and Ice Cream Boat has arrived! 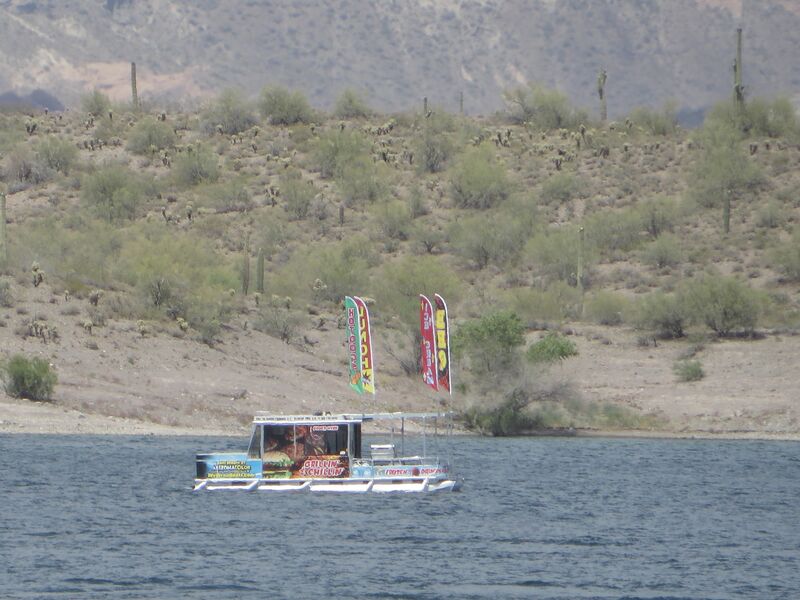 This entry was posted in Arizona, Lakes and tagged Arizona, desert, desert lakes, Grillin' and Chillin', Ice Cream Boat. A burger and ice cream boat? I have never seen or heard of such a thing but I would be delighted to have one come down our river and give a honk. 🙂 Thanks for sharing this! Isn’t it a great idea? A big hit on weekends and holidays when there’s a big crowd. Plus ice cream on a hot day at a Phoenix lake, amazing.